The One Century Place building in Nashville will be managed by Transwestern. HOUSTON – Transwestern has expanded its operations to Nashville, Tenn. to provide agency leasing, tenant advisory, capital markets and asset services to real estate owners and users in Nashville. It is the thirty-fifth office for Houston-based Transwestern. Nashville has a stable economy with only 2.3 percent unemployment rate, well below the national average of 4.3 percent. The market has seen a high volume of relocations and expansions, including corporate anchors such as HCA, Mars Pet Care, Asurion, Bridgestone, Nissan North America, Dollar General and Caterpillar Financial. These factors, coupled with the market’s low vacancy rate, have made Nashville an increasingly important target for real estate capital and created high demand for full-service real estate advisory. 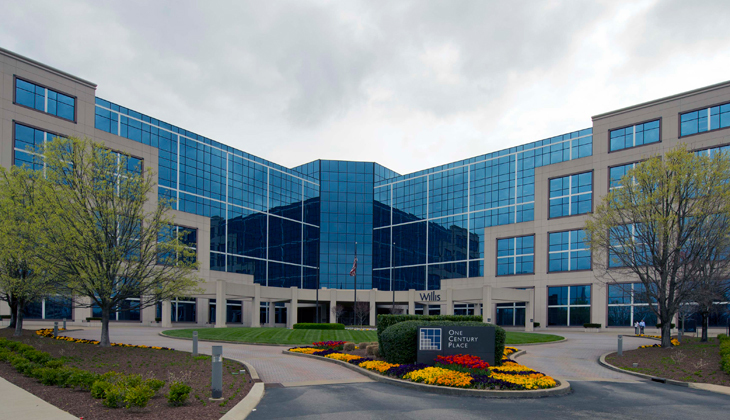 Transwestern has been retained to manage a Nashviille office property – One Century Place at 26 Century Blvd. on behalf of Griffin Capital Company LLC of Los Angeles.